Two historic Boxing matches of epic proportions—on the same night. 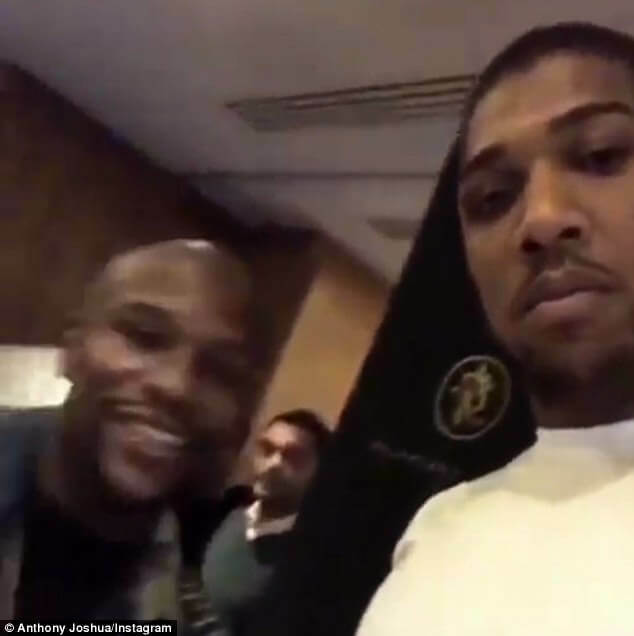 Well, that's probably what will go down since Anthony Joshua told Floyd Mayweather that he wants to fight on the undercard of the legendary boxer's highly probable showdown with UFC champion Conor McGregor. 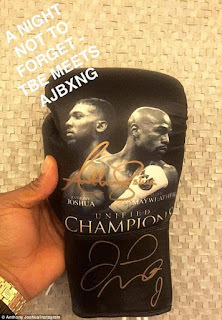 On a rare occasion, two of boxing's biggest names came face to face over the weekend when the unbeaten heavyweight champion Joshua met the former pound-for-pound king for a meet-and-greet with fight fans. 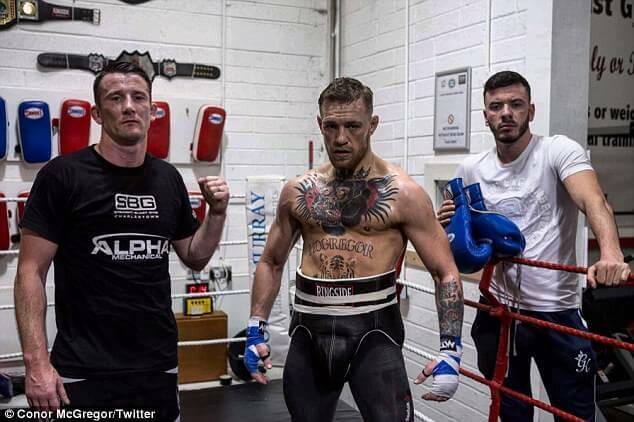 The talk of a cross-over mega fight between McGregor and Mayweather has been echoing for months now. And Joshua who rose from the canvas to knockout Wladimir Klitschko last month, hopes to fight on the bill should the fight occur. 'Get me on the undercard!' Joshua said to Mayweather, before claiming: 'That's legendary, that fight will go (down) in history'. McGregor, who confirmed his place as the biggest star in UFC when he became its first dual-weight world champion last year, signed a contract for the historic cross-over fight earlier this week as the money-spinning match-up moved another step closer. And Mayweather, a former undefeated champion who retired from the ring in 2015 after 49 fights and 49 wins in his illustrious career, confirmed on Saturday that he would only return to boxing for a showdown with the MMA fighter. He explains that its the only thing he hasn't done yet in his career and doing it will make everything complete. He will indeed be the ultimate champ.